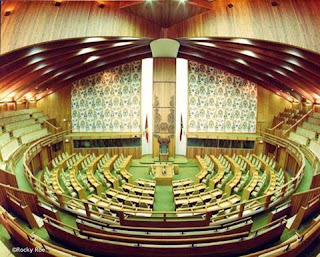 A high rate of members of parliament have defended their seats successfully in 2017 National Elections. Out of the 26 seats declared so far, 14 are incumbent leaders who have been returned by their people. MPs who have made a successful return to national politics. This brings the total to 26 members who have so far been declared as of yesterday. More winners are expected to be declared today and over the weekend. Among them are People's National Congress Party Leader and Ialibu Pangia Member elect Peter O'Neill, members of PNC, Tari Pori's James Marape, Moresby South's Justin Ktachenko, Manus Governor Charlie Benjamin, Esa'Ala's Davis Steven, Pomio's Elias Kapavore, Alotau's Charles Abel, Telefomin's Solan Mirisin and Kompiam Ambum's John Pundari. Others who successfully defended their seats include Melanesian Liberal Party Leader and Rabaul Open Member Elect Allan Marat, Pangu Pati Leader and Bulolo MP Sam Basil, Coalition For Reform Leader and Kandrian Gloucester MP Joseph Lelang and National Alliance duo Timothy Masiu for South Bougainville and Joe Sungi for Nuku Open.